Running on Ashtech’s line of affordable GPS receivers, MobileMapper Field Software is used for GIS (Geographic Information System) data collection, asset management, area measurements, maps creation and updates. The survey software features advanced data collection and processing features, making it an ideal solution for surveyors, foresters, farmers, safety personnel, utility workers, and anyone who manages positioned assets in the field. 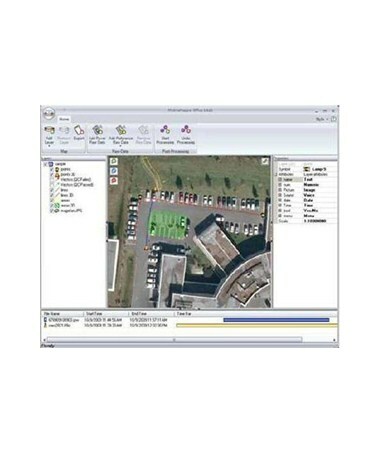 This mobile mapping software enables users to collect and label multiple points at the same time, configure GPS antenna height and supports different file formats. Spectra Ashtech Mobile Mapper Field also allows you to log or edit field data and enter attributes. Attributes are simple to define with a broad range of types supported such as text, option list, image, voice, numeric, date and time. In addition to its advanced features, MobileMapper Field is very intuitive and easy to use. It includes all GPS features that GIS professionals really need without the burden of complicated and rarely used functions. It also provides a modern graphical interface and includes all the features and options available in previous MobileMapper software. MobileMapper Field software provides direct interface to Bluetooth capable devices like the Laser Technology TruPulse range finders or 3M Dunatel cable locators and supports the use of built-in electronic compasses. This survey software requires minimal training, making it easy to work with complicated and unfamiliar GIS data sets. You can process raw field data in the office and enhance the accuracy of the collected positions up to 0.5 meter using the post-processing option for MobileMapper Field. 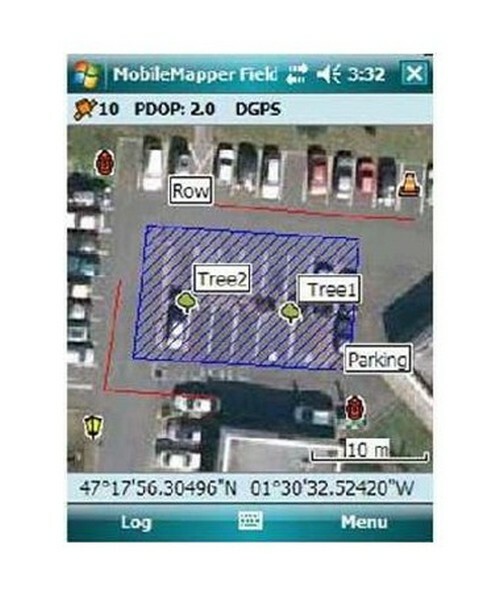 The advanced data collection and processing features of Ashtech MobileMapper Field help gather accurate data while MobileMapper Office processes the collected data to compute and correct positions automatically, making this survey software suite an all-in-one GIS solution. Connects with Bluetooth capable range finders and cable locators.